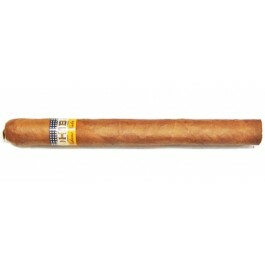 The Cohiba Coronas Especiales is an elegant premium medium to full Laguito No.2, of 38 ring gauge, 6" (152mm) long and comes in a box of 25 cigars. This cigar is a delicacy out of the box, with generous aromas of fresh hay, coffee, spices; very complex smoke. But once aged for about 5 years, it offers a mellowed flavor profile with ample creaminess and woodiness. Perfect construction and burn to top it all.